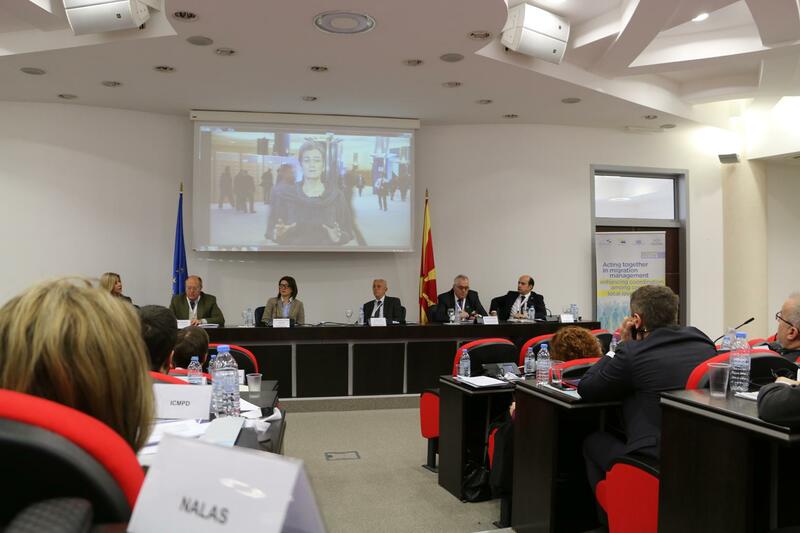 Over 80 participants from South East European countries, representing national and local authorities, as well as international donors met in Skopje on 17 March 2016 during the International Conference “Acting together in Migration Management-Enhancing Coordination among Local and Central Level” organized by NALAS and MARRI. "Our first gathering in Zagreb last October pointed out the need for better coordination among local and central governments in managing the crisis. Here we are today to learn from our recent experience and explore ways to improve coordination mechanisms at national and regional level. Any local community which is directly affected by a crisis should be rapidly supported horizontally and vertically. For that reason the Local Government Associations, Ministries and their networks need to timely design mechanisms and protocols to know how to act in these and similar emergency situations", said in his opening speech Mayor Emil Draghici, President of NALAS. "Since the challenges of migration and migrants’ vulnerabilities are responded to at the local level, municipal authorities need to strengthen their capacities and establish mechanisms to prevent, prepare for, respond to and recover from the crises. 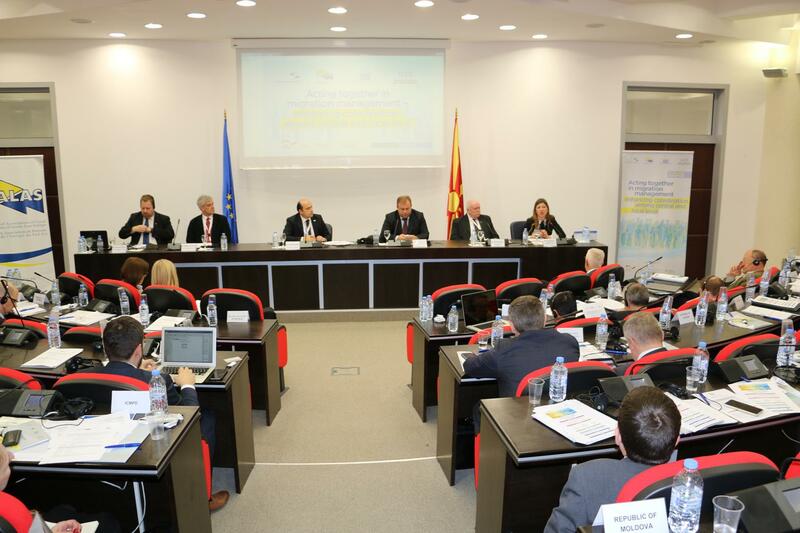 Migration management policy disseminated from central authorities should consider the needs and capacities of local authorities", said Ambassador Jovan Tegovski, representing the Ministry of Foreign Affairs of the Republic of Macedonia. "Good governance requires partnerships between local and central authorities and all relevant stakeholders, including the civil society and private sector. Moreover, partnerships between local and central authorities can ensure that national policies align with the needs and capacities of local authorities at the heart of implementation. Local leadership and community actors can often play very important role in promoting positive perceptions toward migration and migrants. Of particular relevance in this framework is the issue of migrant smuggling or facilitation of irregular entry, stay or transit which affects the safety and security of migrants and citizens alike. This is an issue which should also be addressed at local level". Ms. Ulrike Lunacek, a Vice President of the European Parliament for the Western Balkans addressed the participants via video message. "We need a common asylum policy in the European Union", said Ms. Lunacek. "Asylum seekers are human beings, not numbers. Money and resources need to go to local authorities fast. Local authorities have to provide them not just shelter, but also to convey the feeling of being safe and welcomed". In two panels, the Conference transferred knowledge and shared experiences among the affected countries in ensuring adequate role of local authorities in the current migrant crisis management. 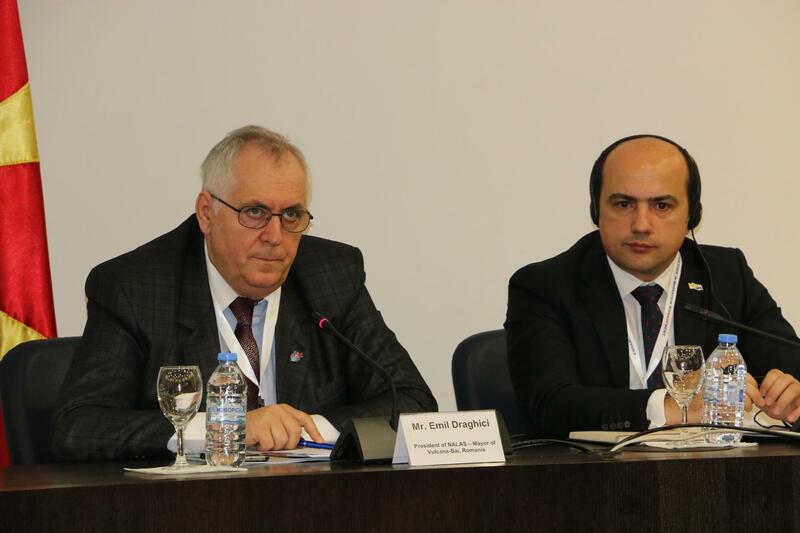 The Conference highlighted the beneficial role of local authorities in migrant crisis management and promoted best practices on cooperation and coordination between local and national authorities in migrant crisis management. 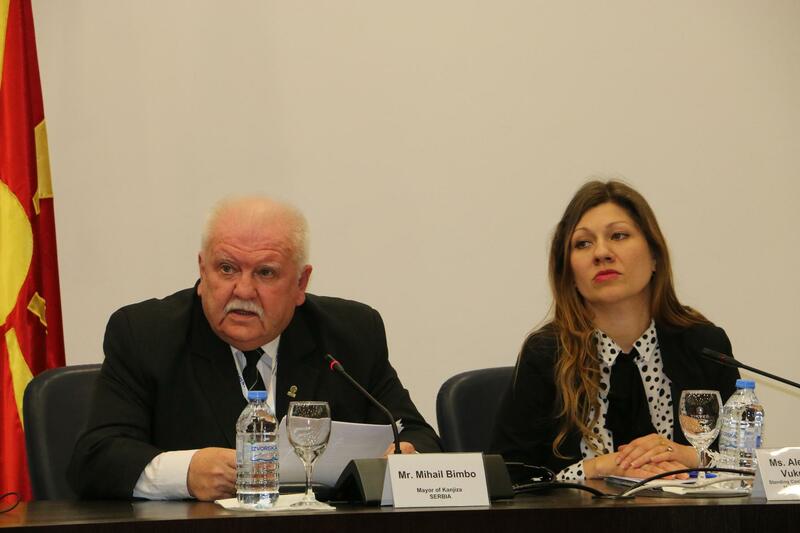 In the Local Government Panel "Ways to improve communication, collaboration and cooperation between central and local government in migration crisis management", organised by NALAS, the Mayor of Gevgelija, Macedonia, Mr. Ivan Frangov shared the experiences of the municipality of 16.000 citizens having to deal with 8.000 refugees a day. The solid waste being generated increased for 100% and the municipality faced serious challenges in providing basic services. Under the leadership of the Mayor, the municipality succeeded to organise, coordinate with the central government and international donors and provide the basic services for the refugees passing this neighbouring municipality transiting from Greece. Mayor Mihalj Bimbo, from the Municipality of Kanjiza, at the border between Serbia and Hungary also demonstrated a real leadership from day one of the crisis. "We invested our own funds to provide safe transit of refugees and their human treatment, in the same time protecting the safety of our citizens and taking care of the environment", said Mayor Bimbo. Mr. Robert Lacko, the President of the Municipal Council of Kanjiza focused on the things that need to be improved in the future. "Information exchange among border municipalities on expected flows has to exist and coordinated prevention activities must be undertaken", said Mr. Lacko. "A training for the operational staff in local governments should be organised, to improve their preparedness for dealing with the situation". Representing the Standing Conference of Towns and Municipalities in the Republic of Serbia, Ms. Aleksandra Vukmirovic focused on the role of local governments and local government associations in dealing with the crisis. 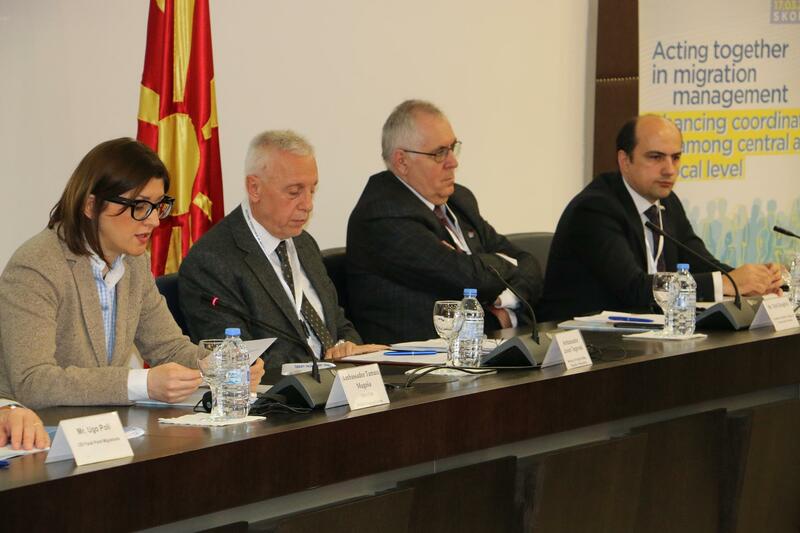 "In many situations, local governments were observers of what central government was doing, rather than active participants", said Ms. Vukmirovic. Thus, series of measures need to be implemented to improve the situation, such as jointly plan the funds for dealing with the refugee and migration crisis, both from national resources, as well as the EU funds. Also, a regional mechanism should exist to connect all local, regional and national governments in South-East Europe in dealing with the crisis, as well as to facilitate good practices exchange. Mr. Bernhard Muller, the General Secretary of the Urban Forum and Former Mayor of Wiener Neustadt presented the Austrian experiences. "60% of the municipalities in Austria did not accept any asylum seekers, therefore, for the first time in history the Parliament brought a Law on suitable distribution of asylum seekers in Austrian municipalities", said Mr. Muller. "In Austria, the local level is the most important in migration management", concluded Mr. Muller. "There is no direct funding available from the EU for local governments, all funding has to go via national governments, thus good cooperation with the central level is essential", said Mr. Carlos Mascarel from the Council of European Municipalities and Regions. "Also, local governments from different SEE and EU countries should come together and cooperate on cross-national projects to improve the situation". The donor community also took part in the Conference. 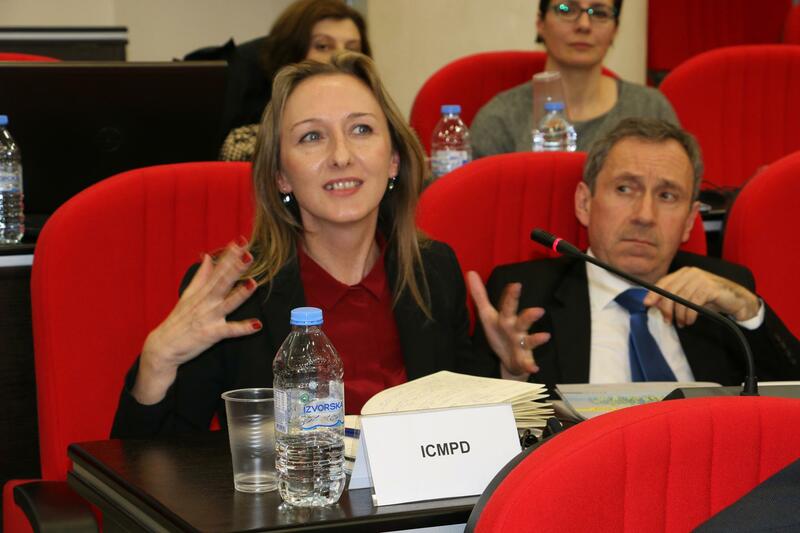 Representatives of GIZ, ORF-MMS, UNHCR, ICMPD, UNDP, the EU Delegation to Skopje and others presented their activities in supporting local and central governments in dealing with the crisis situation and better migration management. The conference participants agreed on joint conclusions that recommend concrete measures for improving coordination among central and local level in migration management, for the benefit of people in need and local livelihoods in the affected areas. The Conference was co-financed by the Central European Initiative (CEI) Cooperation Fund and the Ministry of Foreign Affairs of the Republic of Macedonia, and supported by the GIZ Open Regional Fund Modernization of Municipal Services and the Austrian Association of Cities and Towns.